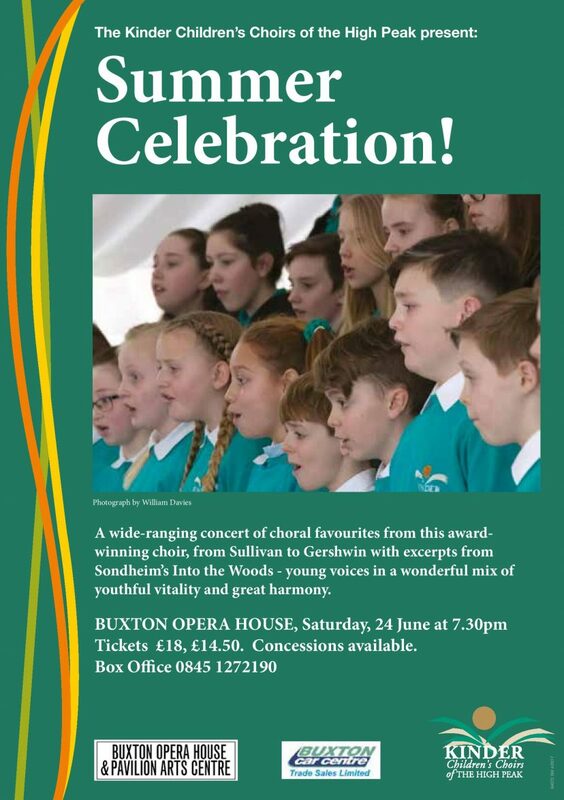 The Kinder Children’s Choirs of the High Peak present Summer Celebration at Buxton Opera House. A wide-ranging concert of choral favourites from this award-winning choir, from Sullivan to Gershwin with excerpts from Sondheim’s Into the Woods – young voices in a wonderful mix of youthful vitality and great harmony. Tickets available from Buxton Opera House web site or box office on 0845 1272190.